If you think you're ever going to need the third-row seats, get the dealership to give you a demonstration of how it folds and unfolds. It's an unusual layout, and hardly intuitive. The 2016 Lexus LX 570 remains one of the biggest, bulkiest luxury SUVs you can get—yet with the big Land Cruiser's world-proven toughness, it's no poseur. The 2016 Lexus LX 570 is in some ways a glorious throwback—to a time when plus-sized luxury SUVs with solid truck underpinnings and big-displacement V-8 engines were a lot more common. 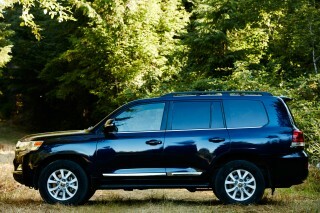 The LX 570 is all that, and more. 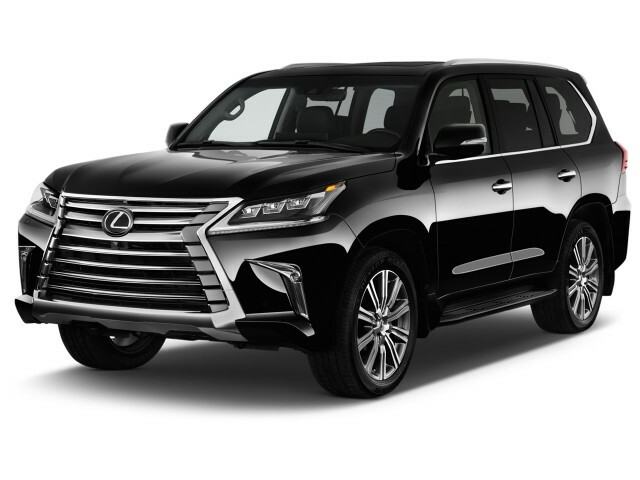 Lexus has over the years made the LX a Range Rover–tackling counterpoint to its flagship LS sedans; and since it's built on the same body-on-frame layout as the big Toyota Land Cruiser, it's a sturdy globe-trekker at the core. This year, the automaker has given the LX its second major refresh in this model's generation, which dates back to the 2008 model year. The look isn't all that different, but it finally goes all-in with a one-piece version of the familial Lexus spindle grille, flanked by LED headlamps, turn signals, and fog lamps. 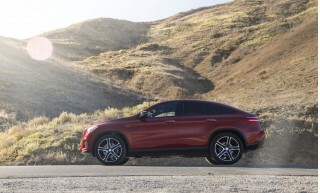 That better complements the handsome, upright look, with carefully sculpted fenders and high shoulders, that has graced the LX since that last redesign. 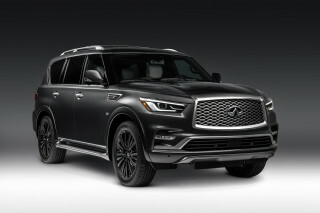 Inside there are some modest changes to the interior, which now has a big 12.3-inch infotainment screen, and the cabin is trimmed in some warmer, upgraded materials. On the road, it's not nearly the beast of burden you might suspect for a vehicle with a curb weight of 6,000 pounds. 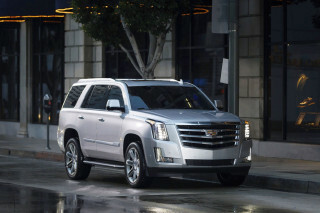 Like the Cadillac Escalade, the LX 570 eschews turbos and hybrid systems and goes with the immediate, torquey nature and linear power build of a big-displacement V-8. 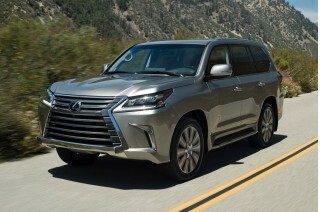 The 2016 Lexus LX 570 carries over its strong 383-horsepower, 5.7-liter V-8 engine that this model has had for quite a few years, but this year it gains an 8-speed automatic transmission in place of the outgoing model’s 6-speed. 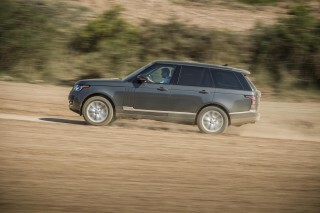 We haven't driven the revamped model yet but will update our impressions here when we do. Also, Lexus has also added a Drive Mode Select system—like what’s already used in other Lexus models—that lets the driver control powertrain and suspension settings. Underneath all the gloss and brightwork, the LX is intended for the kind of weekend activity that encouraged the SUV craze in the 1990s in the first place. Towing is rated at 7,000 pounds, and though Lexus doesn't offer any specific off-road packages, the LX 570 has high ground clearance, and an available height-adjustable suspension that lifts or lowers the vehicle two inches, to pass over obstacles—also helping entry and exit. A true low range, multiple terrain modes, crawl control, and variable gear ratio steering also help in low-speed maneuvers over boulder-strewn paths or scree-strewn hillsides. As a passenger-carrying device, the LX 570 is delightfully spacious; yet it has plenty of letdowns brought on by the packaging, which feels at times to be a secondary thought to those safari-worthy priorities and workhorse-SUV engineering. There's room for seven, in theory, but it can feel quite cramped when more than four adults try to clamber inside the cabin. The front seats are fine—appointed in new quilted upholstery in some builds—but they sit quite high; the second-row bench powers to and fro for more leg room, but the seat feels flat. While the second rows fold and flip fully forward to expand cargo space, the third-row seats flip up and rotate to the side—allowing, more easily, a flat, continuous load floor for longer cargo items. The disadvantage to the setup is that the third-row seats can't be completely removed, and they narrow the cargo space. Yet some things haven't changed in the LX. It still rides surprisingly well for such a large, massive vehicle. The ride is definitely on the soft side, but body motions are more controlled than you might expect, and several new features add to comfort. 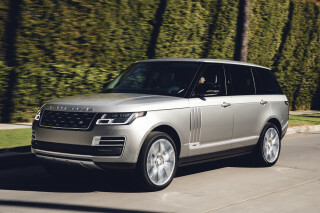 One of them is the Climate Concierge, which monitors four different zones of the interior—this is a cabin that’s large enough to have its microclimates, after all—and can vary the fan speed and temperature of the vents as well as settings for the seats and steering wheel. Second-row sunshades are now included, too. There have been no official crash tests of the LX 570 in recent years due to low sales volume, but its sheer size and long list of safety features earn it high marks in our book. 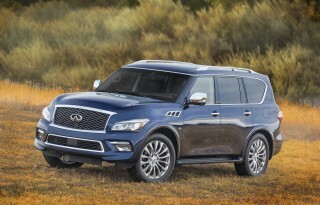 The standard equipment list includes a total of 10 airbags, plus stability control with off-roading modes, active head restraints, and a rearview camera system—which you'll need as despite having rather squared-off corners, this is a vehicle with some near-impossible sight angles for the shorter drivers who we've noticed seem to be attracted to this model. To that, there are a few new high-value items to the LX 570’s standard-feature set: a rearview camera and blind-spot monitor with rear cross-traffic alert. Verging from safety to safe and convenient, you can also get a, an Intelligent High Beam system, and Intuitive Park Assist, as well as a head-up display. A rear-seat entertainment system now includes big 11.6-inch screens at the rear of each of the front seats (although they protrude back into those rear spaces a bit). And there are also USB ports for the rear seats and separate climate controls for rear passengers. 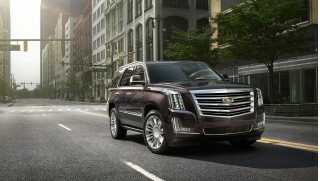 Predictably, the LX 570's big V-8 and 6,000-pound mass penalize fuel economy. The EPA estimates fuel economy at at 13 mpg city, 18 highway, 15 combined, but we're betting that most buyers won't prioritize efficiency from their luxury SUVs. Check back. We'll update our impressions and details in this entire review once we get some more hands-on time in the new 2016 LX 570.